The bill addresses the ever-increasing healthcare costs for “surprise” medical bills and is necessary not only for employers, employees and all consumers, but also for the state to realize savings in the public employee health benefits plans. Background: This bill establishes requirements for price transparency and disclosure by healthcare providers and insurance carriers so it’s easier for consumers to understand potential out-of-network costs. It also establishes a dispute resolution process for the payment of “surprise” medical bills that can occur inadvertently or in emergency situations when someone receives treatment from a healthcare provider or at a facility that is not in the person’s health plan network. Status: The bills will be considered in both the Assembly Financial Institutions and Insurance and Senate Commerce Committees on Monday. 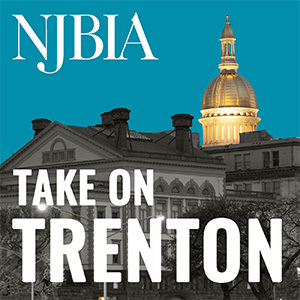 NJBIA needs your help to keep this legislation moving, and ultimately to Governor Murphy’s desk. Please ask the members of the committees to support A-2039 and S-485. You can view the list of committee members here. Background: These bills are intended to prevent significant premium increases in and help stabilize New Jersey’s individual health insurance market now that the federal tax reform law has repealed the IRS penalties for not being covered by insurance, which had been required under the Affordable Care Act (ACA). S-1877 establishes a state “individual mandate” and requires all resident taxpayers to obtain health insurance coverage that qualifies as minimum essential coverage – which includes coverage under health plans provided by employers, government programs such Medicare & Medicaid and plans sold in the state’s individual health insurance market. The penalty for not obtaining coverage is the same as it was under the ACA prior to the repeal (approximately $695 per adult, up to a family maximum of $2,085, or 2.5 percent of household income, whichever is greater). There are exemptions from the tax penalty for individuals who cannot afford coverage. Tax penalty monies collected will be deposited in the Health Insurance Premium Security Fund established under S-1878. S-1877 takes effect January 1, 2019, the same time as the repeal of federal individual mandate takes effect. S-1878 permits the state to apply for a federal waiver under the ACA to create a reinsurance program to reimburse health insurance carriers in the individual market for claims incurred that exceed a certain threshold amount. Approval of the waiver by the federal government would allow New Jersey to apply for and draw down federal funds for the reinsurance program. In addition, health insurance carriers and third-party administrators that contract to oversee, manage, deliver or provide health care services in the large and small group health insurance market would be assessed. These monies together with the federal funds would then be used reimburse the carriers in the individual market for high-cost claims. The bill takes effect immediately. Status: Both bills will be considered in the Senate Budget Committee on Monday, March 5. NJBIA continues to review the bills because it is not yet known (1) how much will be collected under the state individual mandate or (2) whether assessments to fully fund the reinsurance program will result in premium increases for employer health benefits plans. Please contact me at mbeaumont@njbia.org with any comments.